I can't believe its over a month we went anywhere out of Hull. 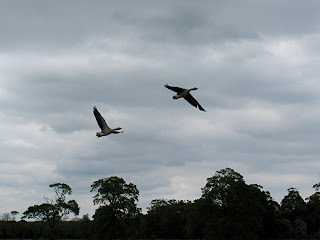 Today it was a warm day with sunny spells and we went for a walk to the grounds of Burton Constable. We explored the area around the Hall and followed the Waymarker Trail. We found out what a Ha-ha is (intrigued? check here). 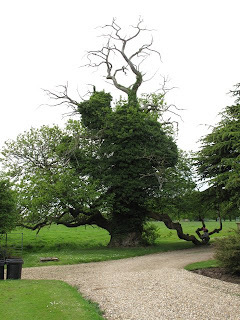 At one end of it stands an ancient tree, a Sweet Chestnut, with some of its main branches now dead and partially covered by Ivy. 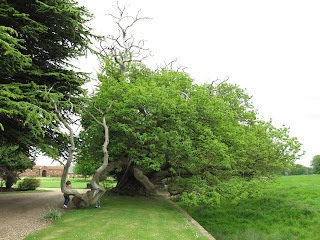 It is the most impressive tree I have seen in East Yorkshire, with an enormous girth. As it is near the house and the house was built at the end of the XVI century, it is probably over 400 years old. 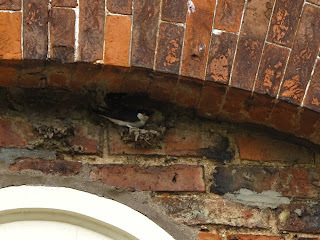 Around the farm houses and stables, House Martins were busy nest building. 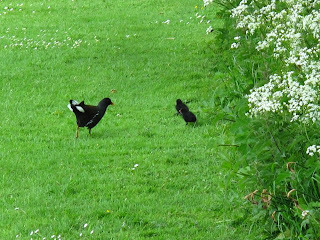 In the North Pond, which used to be part of a moat, Moorhens and Coots were being followed by their hungry chicks. 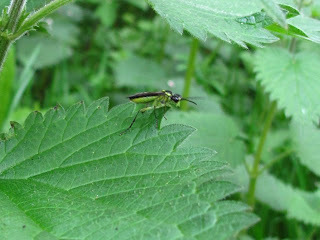 The wooded areas were teeming with insects, although we did not see many butterflies. We manage to spot a Hare. Previously in the large lake I have seen toads mating. 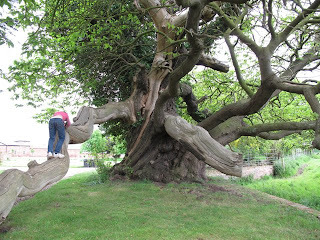 Note added: I reported the Sweet Chestnut in the Ancient Tree Hunt website, as it wasn't there, and a couple of days later it was verified by Tony Burgoyne and its girth measuret at 7.28 m. Tony said this is the largest tree recorded in East Yorkshire! It now has a record here. 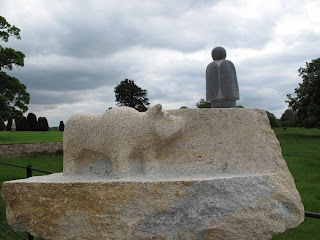 This blog reports on day trips to wild places out from - or in - the city of Hull. I often I visit the same site repeatedly. Info about the site, with links is provided on the first visit. Feel free to comment, add your views or info or suggest other places to visit! I am a biologist interested in Evolution, Behaviour and Ecology based in Hull (U.K.). I like to use photography to document animal behaviour. I have been hooked on Natural History since I was a kid. My research focus on invertebrates, especially those dispersing passively, and have included rotifers, Artemia and tadpole shrimp (Triops). I also have an obsessive interest of all topics related to human evolution and apes and I am a birdwatcher.